Great characters feel real. They talk, act, and respond to stress in ways we recognize, with their own personal character voice. We can relate to them because they seem human. To write a character that leaps off the page, we need to know her deeply. We need to understand her thoughts and feelings. If our audience is going to empathize with her, we have to first. I find it easy to write characters who are like me, who see the world like I see it. Unfortunately, if all my characters are like me, my books are going to be pretty predictable. If we want our characters to stand out, we are going to have to write some who are different than us, to find a unique character voice for each one that’s different from our own. 1. Put your character on the couch. In therapy, people talk freely about their inner thoughts and feelings. To get to know your character, pretend to be her therapist. Imagine she walks into your office and sits down on a couch across from you. Additionally, when your character says something you find unusual or exaggerated, ask your character to elaborate on it. One way to do this is to reflect back to your character what she said. “So what I hear you saying is …” This will give your character the opportunity to think through what she said and comment on her own thoughts and feelings. Focus on writing the dialogue only. Don’t worry about how your character is sitting or what the room looks like. Just ask your character questions and let her talk. Discover your character’s voice by asking them questions—and then letting them talk. 2. Write your character’s morning routine. The point of writing your character’s morning routine is to get a feeling for what your character is like when the spotlight isn’t on her, when life is mundane. If you know how your character acts and feels under normal circumstances, you will get a better feel for how they are when circumstances force them to change. The transformation you write for her will be clearer. What’s the first thing your character does when she wakes up? Does she love mornings or hate them? What does she think when she first looks in the mirror? Does she brush her teeth before or after breakfast? How does she fix her coffee? What does she eat? Is it the same thing every morning or does she try and change it up? Answer these questions by writing a scene that starts with your character waking up in the morning. 3. Create a mood spectrum. During a story, your character is going to face a lot of different circumstances. Some of these situations will make your character happy. Some of them will make your character upset. Under the words “Normal Mood,” write six adjectives that describe how your character behaves when everything is routine. How does your character act under ordinary circumstances? Now, imagine your character just got fantastic news. Write six adjectives under the words “Amazing Mood” that describe how your character behaves when everything is going her way. Your final step is to put the whole picture together. Starting in the middle, read your line out loud to yourself. Now pick an event that would move your character from a normal mood to an extreme mood. 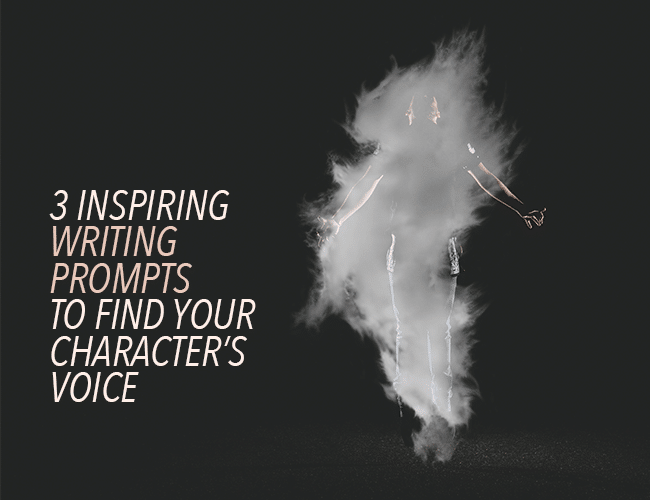 Write that scene and convey your character’s transformation. Be adventurous and create a diverse set of characters that act, think, feel, and respond to things differently than you do by getting to know them before you write them. Your audience will be more likely to connect with your characters if you connect with them first. How do you get to know your character and discover their unique character voice? Let us know in the comments. Pick one of the three exercises above and spend fifteen minutes doing it. Post your work in the comments so we can all enjoy it.